How high are realtors' and lawyers' fees in the South Africa? What about other property purchase costs? How difficult is the property purchase process in South Africa? Foreigners can own and register a mortgage on immovable property in South Africa without restrictions. Loans to legal aliens of up to 50% of the purchase price are available from South African financial institutions. To ensure repatriation, all foreign funds remitted to South Africa must be declared and documented, and the property must be endorsed 'non-resident'. South Africa boasts a first-world property registration system that is guaranteed and secure; conducting property surveys is unusual. For peace of mind, one may freely access records of the property interest at the office of the Registrar of Deeds. 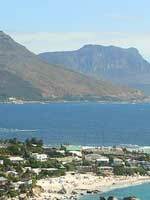 The South African property market is dominated by a few estate agents, while private sales are rare. By law, the agent is obligated to prepare a written letter of offer. This will be submitted to the seller for approval. Both parties must sign upon acceptance. At this point, the letter of offer effectively becomes an Agreement of Sale that is legally binding to both parties. Payment of a 10% deposit is usual. The seller then appoints a real estate attorney (conveyancer) to handle the formal processes of transfer. Your identification documents must be submitted for the registration procedure conducted at the Deeds Registry. This, and the settlement of all the government duties, is usually accomplished in six to eight weeks. When the buyer's name has been recorded as the new owner, the remaining balance must be paid. The conveyancer will be responsible for delivering the title deed to the new owner. Seven procedures are involved in registering a property transfer, completed in about 21 days. The registration fee is subject to a standard schedule, as given in the Deeds Office. The registration fee varies, depending on the property value. How landlord-friendly is the law in South Africa?